What better way to celebrate life's big and small achievements than with cake? There is something inherently festive and special about a homemade cake. Master baker, Jill O’Connor walks home cooks through the cake-making process with crowd-pleasing recipes, perfect for the holidays. Cake: I Love You (Chronicle Books/May 2017) is a love letter to a classic indulgence and offers more than 50 divinely decadent recipes home bakers will want to make right away. 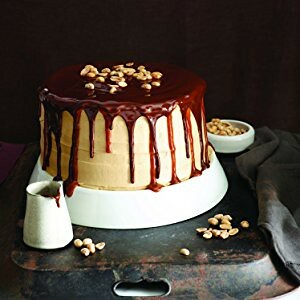 Organized by flavor profile (banana, coconut, chocolate, caramel, spice, fruit) and level of difficulty, each chapter in this cookbook presents a wide range of sweet choices, from easy weeknight sheet cakes to showstoppers layered with frosting and ganache. With photos that will make readers want to reach out and swipe their fingers through the frosting, Cake, I Love You offers foolproof cake-making advice for beginning bakers and master mixers alike. 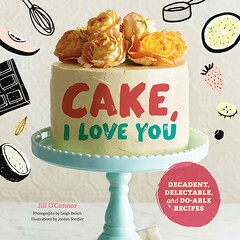 Cake, I Love You provides chapters on Baker’s Gear, Baker’s Pantry, and Building a Better Cake, and Jill provides helpful tips and techniques throughout the book that will make the cake-making experience even better. This holiday season bake something special for friends and family with Cake, I Love You, a no-butter-spared tribute to this classic indulgence. Jill O’Connor is a graduate of Le Cordon Bleu Cooking School in London and studied at the International Pastry Arts Center in New York. 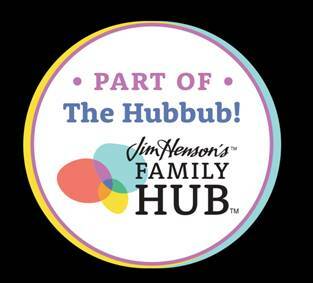 She writes a food column for the San Diego Union-Tribune, is the author of six cookbooks, and has developed recipes for Food & Wine, Southern Living, Bon Appétit, and Fine Cooking magazines. This holiday season bake up this crowd-pleasing cake! I love cook books. I know many love being able to pull up recipes on line and aren't really into books anymore but there is something to be said about flipping through a cook book, finding a recipe, marking the page, putting the book where you can see it trying to master the recipe you are interested in, then tweaking it and leaving notes in the book margins. It is how our grandmas and moms cooked and I love the vintage feel of cooking out of a book. Cake, I Love You is broken down into flavors like banana, coconut, spices, chocolate and more and then broken down by difficulty. I love when cook books do this because honestly I am not one to take on the difficult ones. I am so afraid of making a mistake with baking. Not sure why but I think it is because my family didn't really bake. They were amazing cooks but hit the bakeries and dessert. This Thanksgiving I am totally making Coconut Fudge Snowball cake. 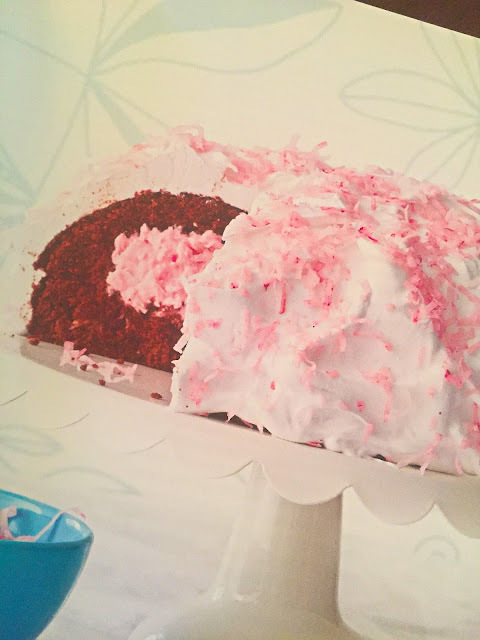 It is a little bit of a challenge for me as there is a pink coconut fluff filling but that marshmallow frosting looks amazing. Jill was nice enough to offer up a recipe for my readers on her Luscious Lemon Loaf below. Enjoy! 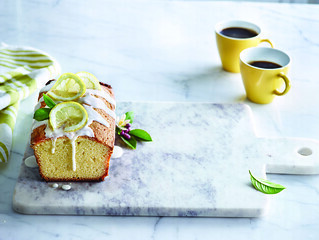 Lemon zest, lemon juice, and lemon oil combine to give this simple cake real zing. Don’t be tempted to skip the lemon oil, as it adds a wonderful fragrance and intense lemon flavor that lemon extract can’t match. Cold pressed from the zest of oranges, limes, or lemons, citrus oils are concentrated and fragile. They must be refrigerated once the bottle is open, but even then they don’t last forever. Position a rack in the center of the oven. Preheat the oven to 325º. Coat a 9-by-5-inch metal loaf pan with nonstick cooking spray. Line the pan with an 8-1/2-inch-by 15-inch strip of parchment paper so it covers the bottom of the pan and hangs over the long sides. Put the sugar in a small bowl. Using a microplane zester, grate the zest from the lemons into the sugar. Rub the zest into the sugar with your fingertips until the sugar is sandy and moist and fragrant with lemon. Set aside. Cut the lemons in half. Using a citrus reamer, squeeze the juice from the lemons into another small bowl. In a third small bowl, whisk together ¼ cup of the fresh lemon juice, (you should have about 2 tablespoons remaining; set aside for the icing.) the sour cream, vanilla, and lemon oil. Set aside. In a stand mixer fitted with the paddle attachment, beat the butter and oil together on medium speed just until creamy. Add the lemon sugar and beat until light and fluffy. Add the eggs, one at a time, beating well after each addition and scraping down the bowl as you go. Decrease the mixer speed to low and beat in the sour cream mixture. Add the dry ingredients in two additions, beating on low for a few seconds after each. Scrape the batter into the prepared pan and smooth the top with a spatula. Bake for 55 to 65 minutes (do not check the cake until it has been in the oven for at least 40 minutes, as it might sink in the middle.) The cake is done when a wooden skewer inserted into the center of the cake comes out clean. Transfer the loaf, still in the pan, to a wire rack to cool 10 minutes. Grasping the overhanging parchment, lift the loaf out of the pan and set it on the rack. Cool completely. To make the icing, whisk the butter, 2 tablespoons lemon juice, and lemon oil with the confectioners’ sugar until smooth and creamy. Spread or drizzle the icing over the cooled cake. Disclaimer: I received a complimentary product for my honest opinion. No monetary compensation was offered or received. 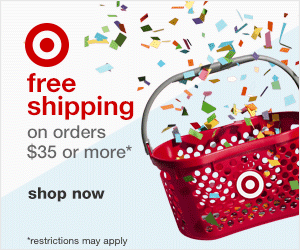 The prize will be mailed out from the sponsor of this giveaway.